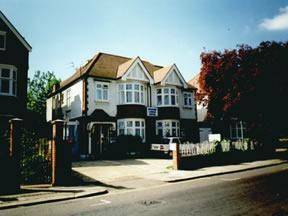 The Grange Lodge can be found next to the University of West London between Ealing Common and Walpole Park. Students, parents and visitors to the University of WestLondon would struggle to find a cheaper and more pleasant alternative, and certainly not one as close as this. The Lodge has 14 guest rooms, most of which are en-suite and the hotel sits in a quiet residential location. Ealing Broadway Station is just900 yards away perks include free Wi-Fi and parking, and full English breakfasts. Heathrow Airport can be accessed in under 25 minutes using the Heathrow Connect service. The A406 North Circular Road and the M4 motorway are also within easy access. South Ealing Tube Station is just 5 minutes walk.